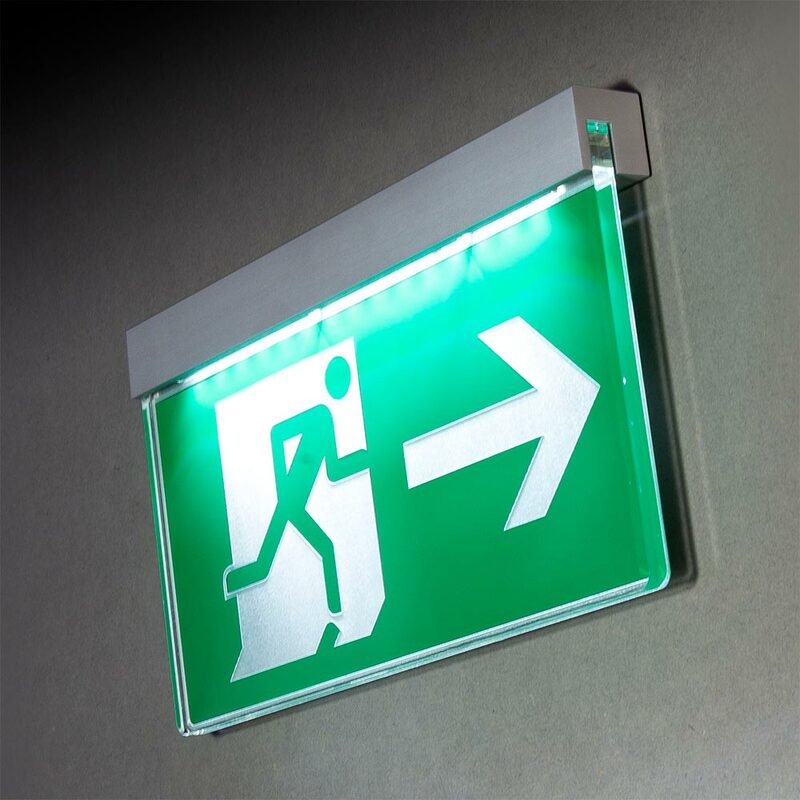 A premium quality range of Fire escape signs, designed to clearly identify emergency exits and escape routes, with empathy for modern architecture. 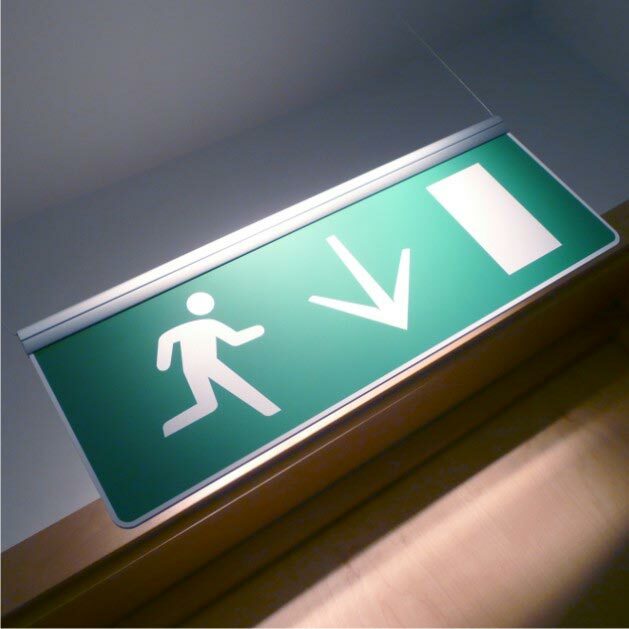 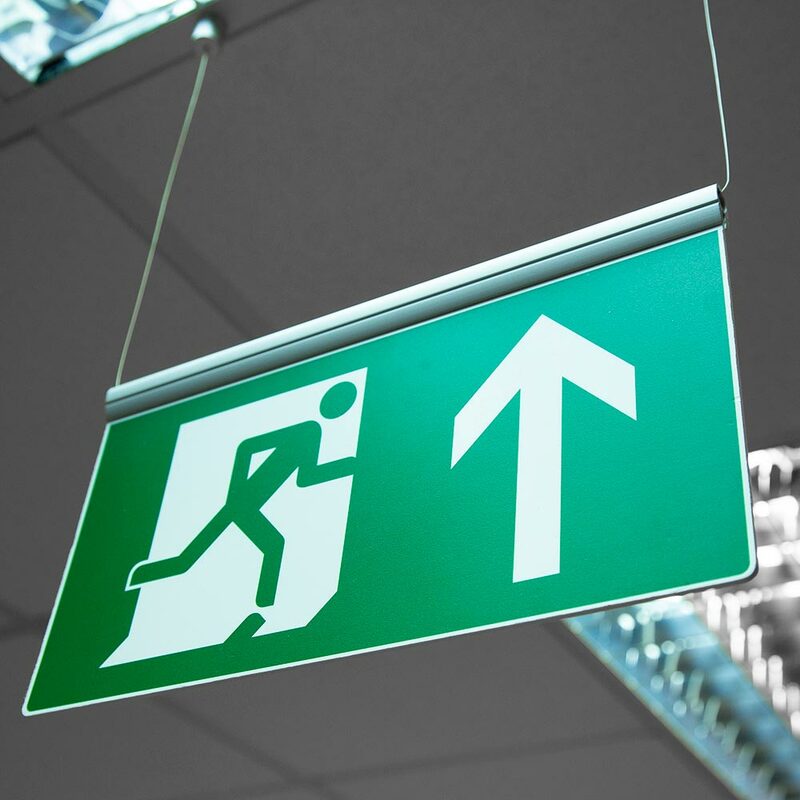 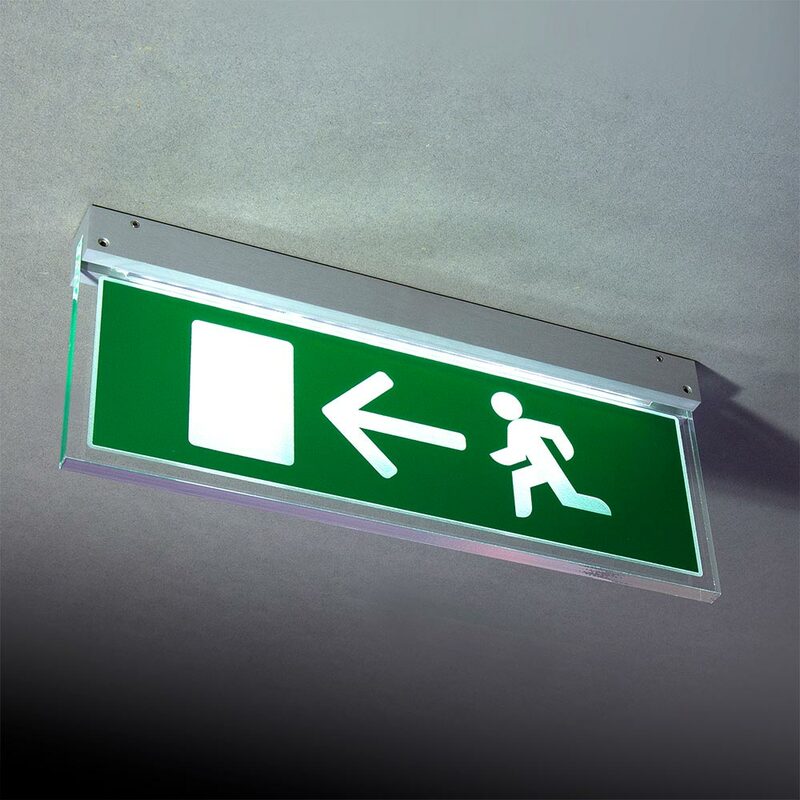 Conforming to EC Directive 92/58/EEC, the Signkit FE LED illuminated emergency fire exit sign is available in wall or ceiling mount formats. 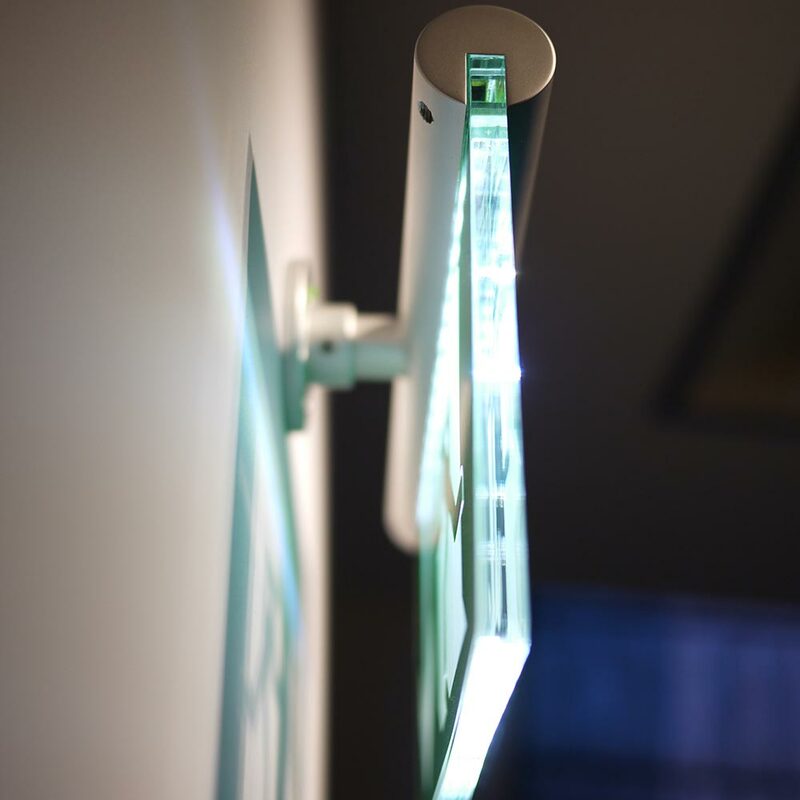 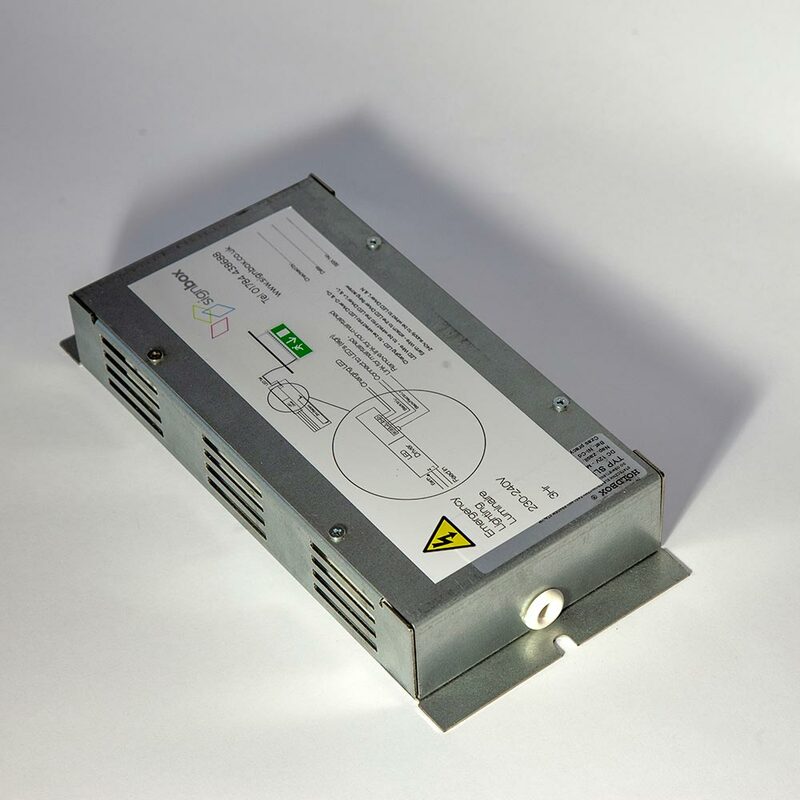 Both offer 'fit and forget' LED technology providing a long lifespan of at least 60,000 hours. 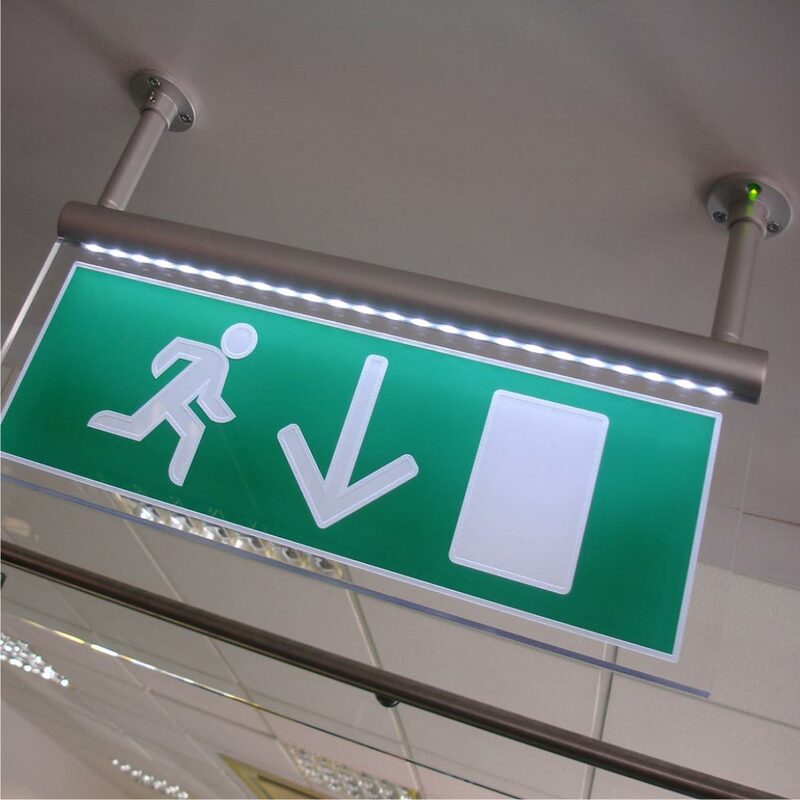 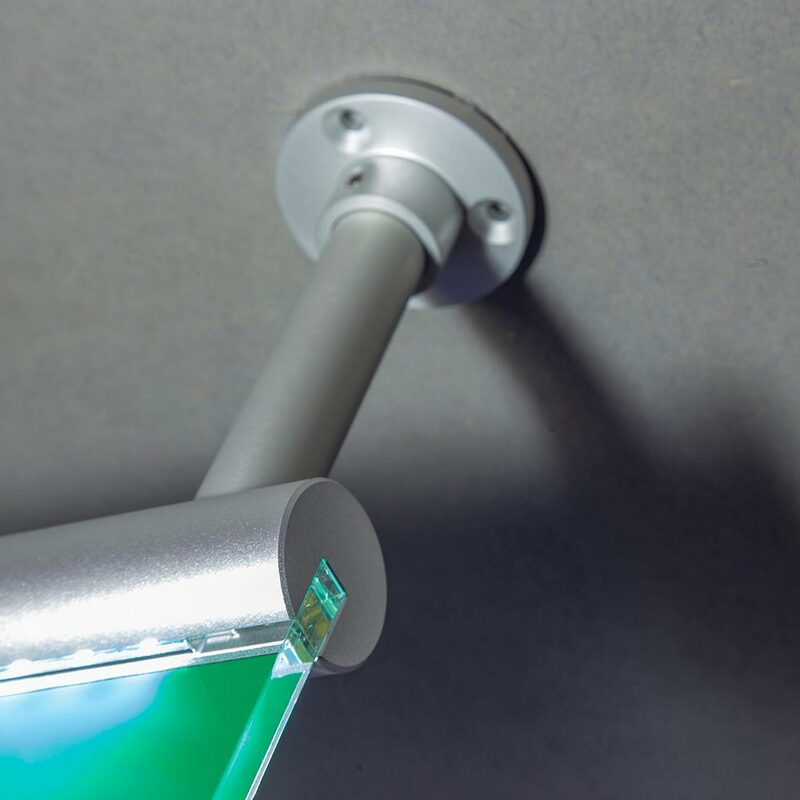 The sign comprises a silver anodised aluminium 30mm diam Signslot, wall or ceiling mounted (with 100mm drop rods), supporting a 10mm thick clear acrylic panel with laser etched and infilled graphics, complete with a minimum 5-hour battery backup.